1" high density foam finished. 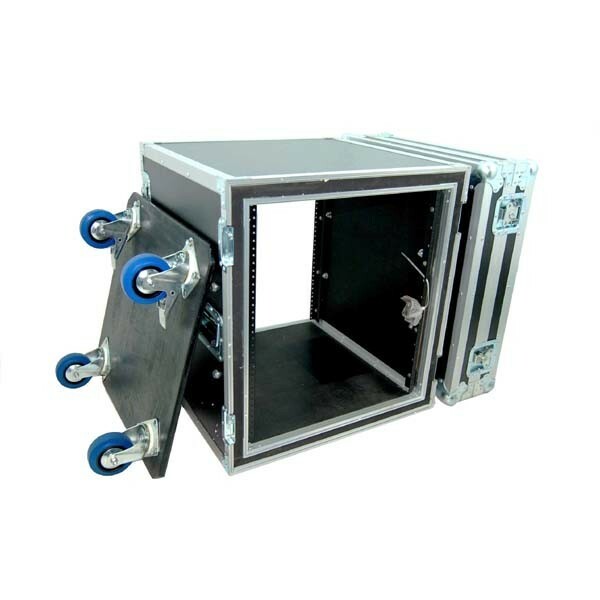 It is designed for 19 inch wide rack mount equipment. Front and back rack rails (4 rack rails); rack mount screws included. 4 inch high quality blue casters mounted on 3/4 inch plywood board dolly; two casters come with double brakes. It usually is permanent set up. Also it can be remove by take off 4 long bolts.